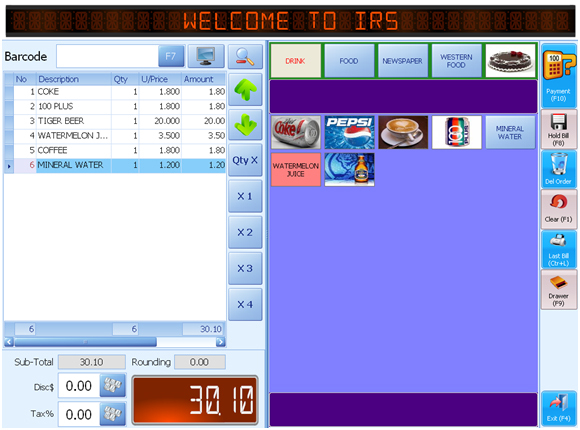 IRS F&B System Provides a Perfect Solution for F&B Industry, We develop a system to help you on manage your table plan, inventory, sales, customers, suplliers, reports, staffs and etc. 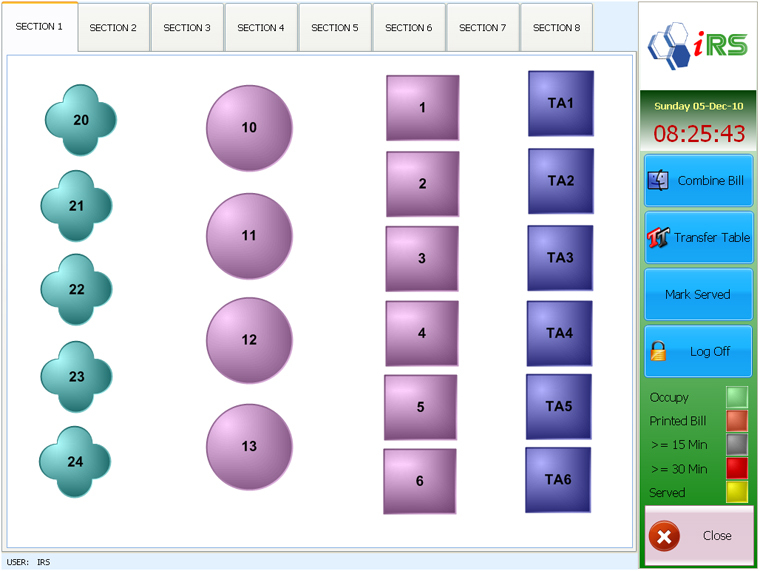 Besides, IRS F&B System are easy to use and your staff can be trained up in minutes, your stock can be tracked down to the nearest measure. With IRS F&B System, your back office management will be simple and effective just like our slogan- Ease your BUSINESS, Ease your LIFE. →Note: Other packages are available,for more information please call +6016-7782401 or click here to send an enquiry.